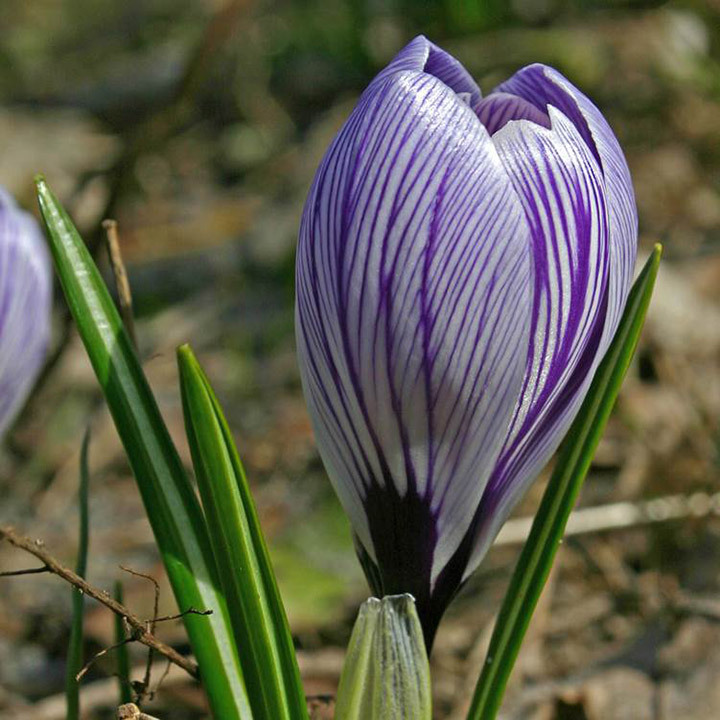 Blog - In The Spotlights: The Crocus! 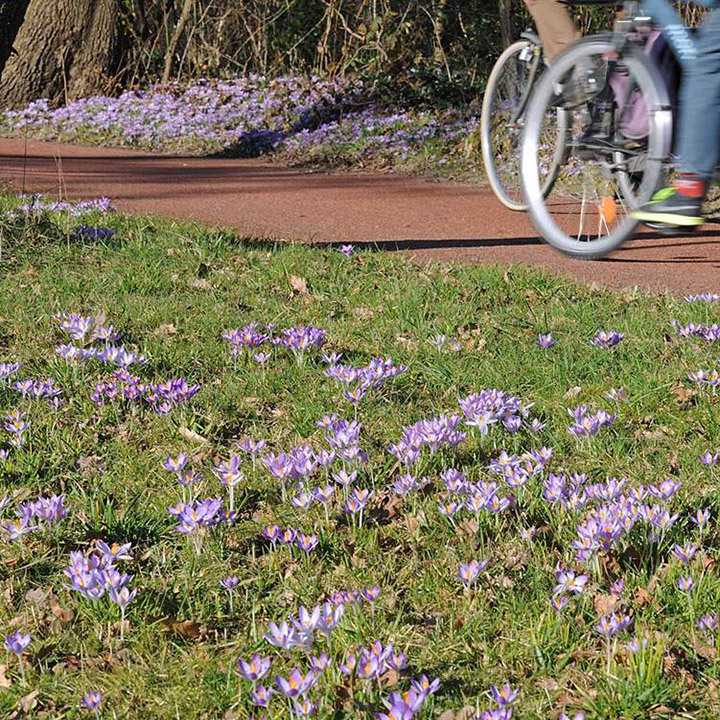 In The Spotlights: The Crocus! Early March, while the winter coats and heaters are still on, there they suddenly are: the crocuses. Not afraid of the bad weather that is still to come, they decorate gardens, banks and city parks with their happy, fresh colours. Really one of my most beloved flowerbulbs, because they are reliable, grateful and most of all very pretty. 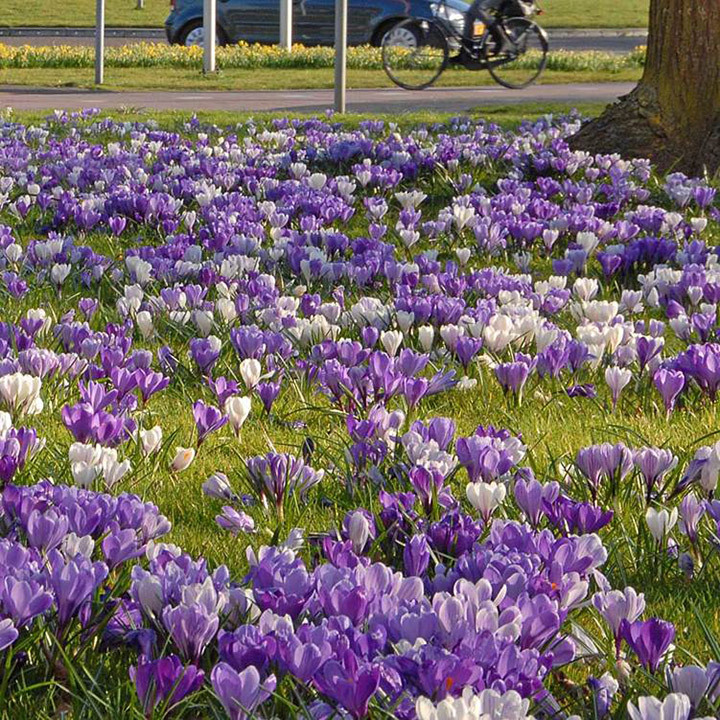 Crocuses are very much appreciated: in the Netherlands, we even named a school holiday after them: the Crocus Vacation! 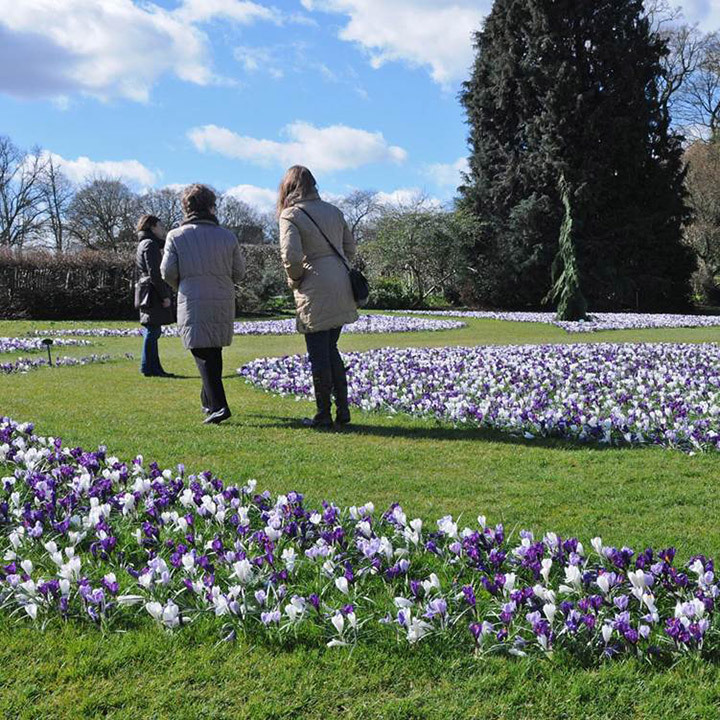 Especially the big-flowered crocuses, the so-called vernus crocuses, revert very well. They can make a border or simple grass field look like a carpet of flowers for years in a row. 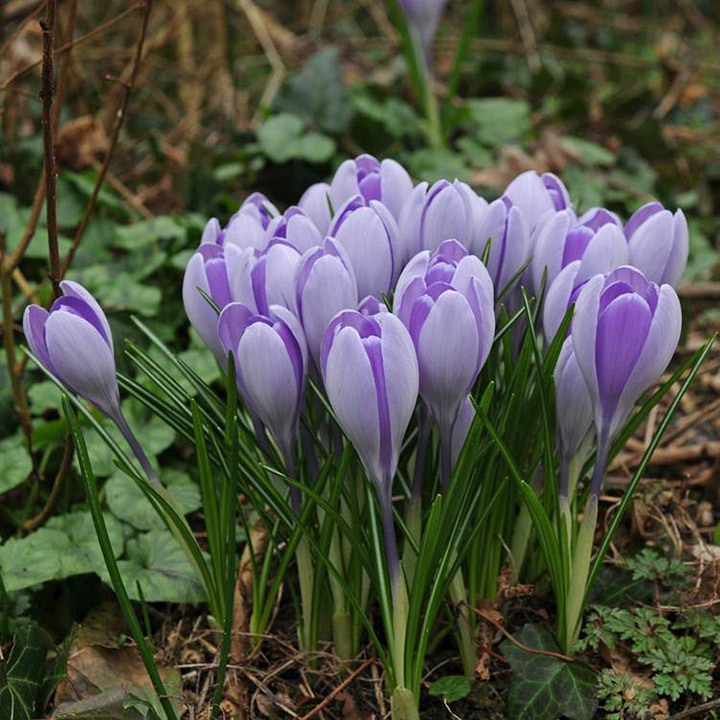 The small-flowered crocuses, also called the chrysantus, desires a little bit more attention and a somewhat sheltered area. If you can give this to her, then she will also make you happy by coming back year after year to show you her colours. When these crocuses disappoint, my advice would be to check if mice or birds might bother them. These animals also love chrysantus bulbs, but for a different reason: they very much like to eat them. And last but not least there is the crocus tommasinianus, also called the farmer’s crocus. This is the earliest blooming flower of the group, and in my experience, she is completely indestructible. She always performs well, in every asepct, and as a fantastic extra she also grows in number every year, so you can admire her in an ever-growing quantity over the years. 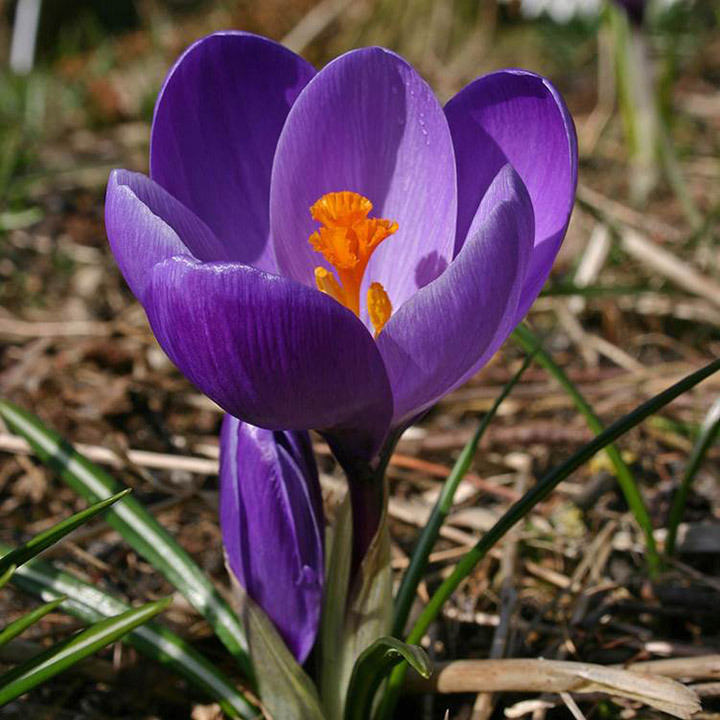 A fun fact is that the crocus is a candy store to the bee. 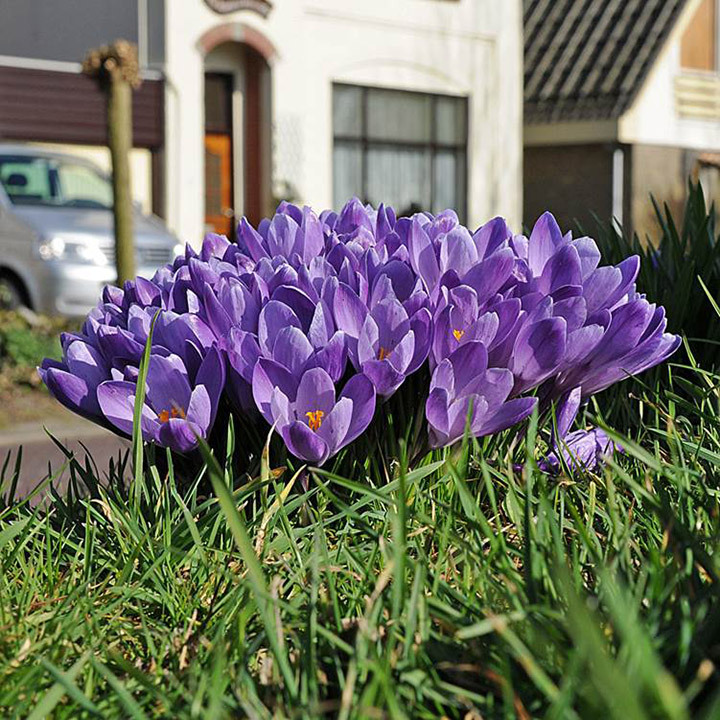 On the first nice spring day that the bees fly out, they are welcomed by the crocuses. They come to them greedily to collect as much pollen as they can: the ideal nutrient to get ready for the next season. 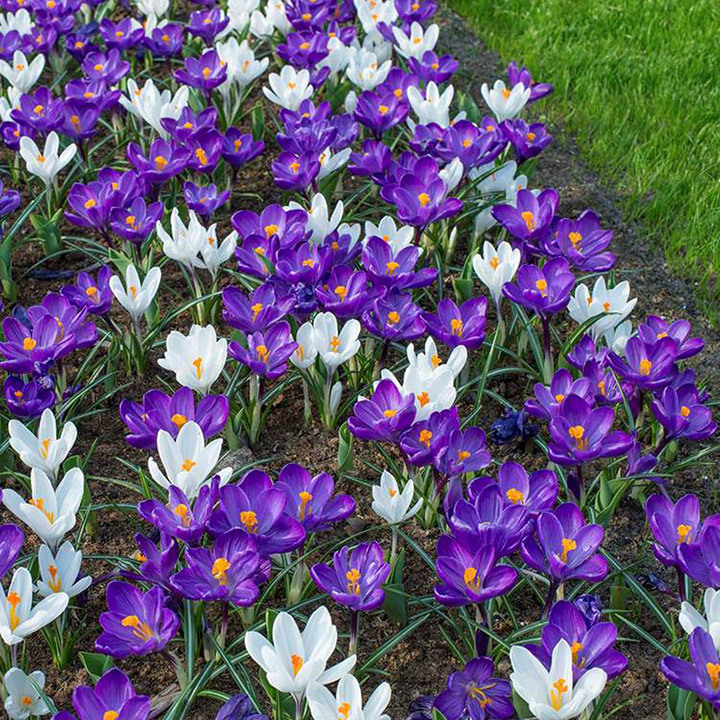 At the moment, we offer fourteen different options in our Fluwel web shop when it comes to crocuses, with two beautiful mixtures that also contain them. They are truly gorgeous, so if you also want to be surprised by this pretty flowerbulb in the early spring, then please take a look at Fluwel.eu!